Falcon Tower represents a pioneering project in the region featuring building integrated photovoltaic, which combine aesthetics with efficient power generation. The 155m-high tower includes Thin Film BIPV windows technology, along with golden-colored crystalline BIPV at the top of the building. 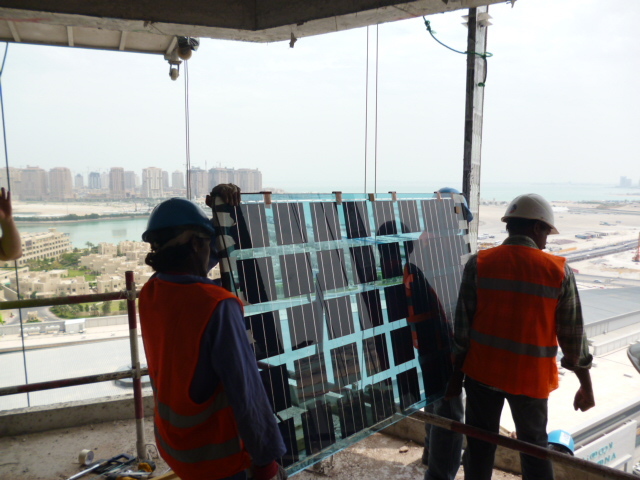 Together, these panels achieve the tower’s environmental aspirations by generating clean electricity while providing artistic shading that reduces heat on the interior thus conserve energy.